Boat rides, miniature golf and water slides, oh my! Lion Country Safari is not your typical zoo. If you love animals, outdoor activities and loads of smiles, there is one Florida attraction that you can’t miss. I’m continuing our “Things to Do in Florida” series with one of our favorites, Lion Country Safari in West Palm Beach, FL. You may be looking at these pictures and thinking I have an awesome zoom lens. What if I told you that I didn’t. These majestic animals, and many others, were just steps away from our car. Since 1967, Lion Country Safari is Florida’s only drive-through safari and walk-through amusement park. The drive-through Safari is miles long and split into seven sections. When you enter the park, you are given a CD to play as you drive through. It’s like a personal tour. You can catch glimpses of zebra, rhinoceros, giraffe, ostrich, and even lions! You are able to drive right through or pull over to observe and take pictures. Often, the animals will walk right in front of your car. My girls love being up close and personal with animals that we typically only see behind barriers in a regular zoo. Once you’ve completed the drive-through portion, you’ll park your car and begin the walk-through portion. And if you think you’ve seen anything up until that part, you’d be mistaken. For us, it’s where the fun really begins. Enjoy as many rides as you’d like on their carousel or the adorable dragon and elephant ride. All rides are free with your admission, so no buying tickets or worrying about a wristband. Make sure to stop at each of the fun photo opps and snap some keepsake photos of your day. My girls are always all smiles at these stops, excited to jump in and figure out a fun sister pose. The face cut out areas are always good for a good laugh. My girls have got personality for days and I have a hard time keeping the camera still while I laugh at their silly faces. While we have fed the giraffes lots of times before, I don’t think I ever realized what beautiful and gentle animals they are until this last visit. Lion Country Safari offers a stand so you can purchase fresh greens to feed them. It’s the best few dollars we spent. This was Falynn’s first time feeding the giraffes and while she was a little hesitant at first, once she let her guard down, she couldn’t wait to feed them more. The look on her face was priceless. The giraffes have personalities that are as tall as they are, often sticking out their tongues for my camera. We even got to meet Cupid. He was given his name because of the heart shape on his neck. Enjoy some quality family time on the miniature golf course and paddle boats. I’m not sure which of the two my girls loved the most, since they asked to do each of them twice. There is also a water safari boat ride which takes you around and shows you the resident monkeys on their little islands. It’s a short ride but packed full of great info about each species that lives there. From the minute we walked in, the girls couldn’t wait to get to the water play area. They started off at the water slides and I have to brag for a minute… all three of my girls were fearless, conquering the slides like a boss. Even my 5 year old, Falynn, went down that slide for the first time and came off with two thumbs in the air. I barely got to ask each of them what they thought before they were running back into the line to do it again. After three times, they finally agreed to move over to the water playground, where you can find sprinklers, fountains, buckets and loads of water fun. It’s the perfect place to let them play, especially with the Florida heat. The one stop I thought we’d never leave… the fun slide. It’s the one thing from my childhood that I couldn’t get enough of. Sitting on a burlap sack and flying down. I lost count after their 6th time. The adults even got in on the fun. The looks on their faces was something I’ll never forget. Finally, before we left for the day, we had to check out the petting zoo. I’ve been to many petting zoos in my day and have never seen such well behaved goats. Usually they are trying to chew on our clothing but these just stood there and allowed the girls to pet them. This particular goat even gave me a little smile when I pulled the camera out. If you ever get the chance to visit, we highly recommend Lion Country Safari in West Palm Beach, FL. It’s a day full of fun that you and your family will never forget! Have you ever been to Lion Country Safari? If not, do you think it’s something that your family would enjoy? Comment below and let us know! This is super-epic. Been to many national parks, but never to lion country safari. Guess, I need to start planning for the Florida trip. OMG this is making me want to plan a trip to Florida ASAP! This is totally what my family likes to do! This looks like it was so much fun! My son loves going to the zoo so I’m sure he’d love something like this! I’ll have to check this out, thanks for sharing! I haven’t been to anything like that in years. Looks like the entire family had a great time. Wow! They seem to really have everything. Do you happen to know if Lion Country Safari is AZA accredited? Or is it privately owned (such as Six Flags Marine World)? Love this! Such a beautiful and funny place to visit during summer, especially with kids! What a fun place for the summer. The kids will be out of school this week so time to find places to visit. Oh now this looks like such an awesome place to spend at a day there is nothing like a good safari park! The safari looks like so much fun! This safari looks like it would be such a blast. My kids would really love to do something like this! I love this!! Florida has so much to offer beyond Disney (even though I’m a huge fan) so I love that you highlighted West Palm Beach! This place looks like so much fun and I love feeding giraffes! What a fun experience for all ages! I love a vacation that everyone can enjoy together and not be overwhelming. I’m glad you all had a wonderful time! Thank you for sharing this. 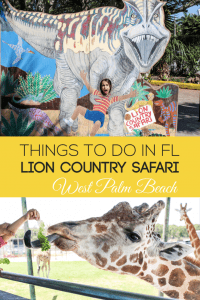 We’re visiting Florida this summer and our kids would love Lion Country Safari! Oh wow! Lion Country Safari sounds like a really fun place to visit. I’ve never been, but will check it out when we take a trip to FL! We go to Florida quite often and we’ve never been here. It looks like such a fun place, it has everything we love to do. 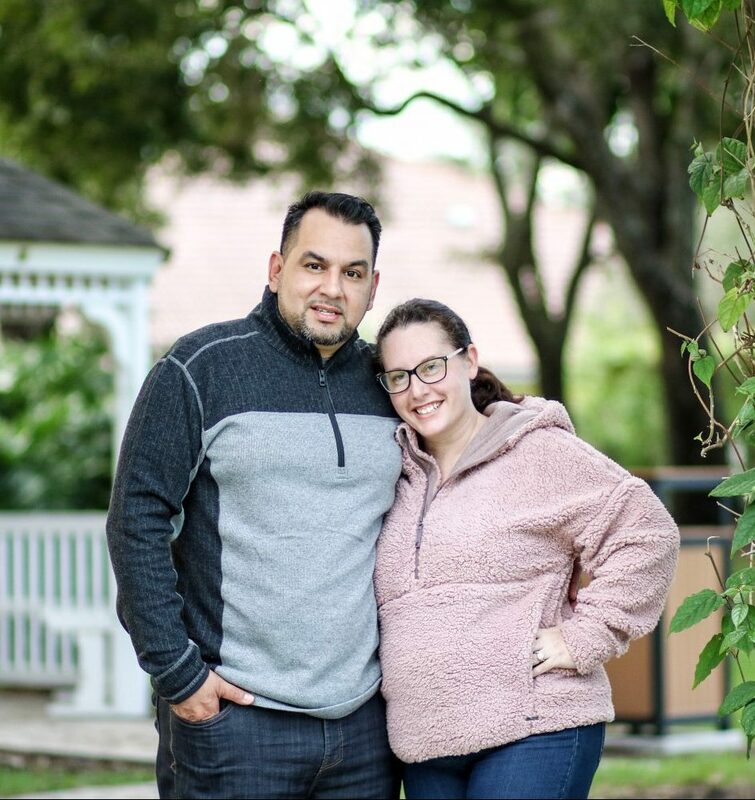 You have a beautiful family! We might be heading to FL within the next few months. This safari place looks so cool for the kids. I bet my daughters would love this!! Those animals are so cute! My kids love going to zoo, and I am planning to take them this summer. i have never been to Lion Country Safari but it looks like it is a lot of fun. My family really loves animals. We did something similar near us where they were able to feed the giraffes and they had a good time. Oh wow what a fun day out! We love a safari day, my children are animal crazy! I love that there are so many varieties of options from the boats to animals, photo spots and even “rides”! How very cool for the kiddos! It would be so great to see all those animals up close and even feed a giraffe. I will keep this in mind for a visit if I am in Florida. We loved the weather in Florida when we went to Disney. I had no idea where else to go. Now this coming summer I will recommend Lion County Safari to hubby for our son. If you live in Florida or are planning on visiting this would be a fun place to visit. Great place to take the kids for the day. Oh wow! I can see why this would be a fun trip for kids especially in the summer. It looks amazing! This place looks amazing. I dunno if I would be able to cram it all into 1 day! I need something like that here for sure!! It looks like you guys had a great time! So many fun things to do. I’d love to take my family here and explore with the kids. That is such a fun spot to go. My kids and I went there a few years ago and loved it! That looks like a great place to hang out with the kids. They seemed to have enjoyed themselves! We’ve been to Florida several times and it amazes me how many places we have yet to visit. This is definitely an attraction my family would enjoy. All the activities look fun! I am sure my family especially my niece would love to visit Lion Country Safari. Florida is one of my favorite places to visit!! I love going to the beaches and playing mini golf and just being a tourist!! It looks like a nice place to visit and for a great adventure. I am sure my kids will love it thanks for sharing this with us. How fun! It looks like such a fun place! I’d love to do those paddle boats! I kind of wish I would have gotten one of those instead of a paddle board. But I haven’t even used my paddle board yet, so we’ll see, I might love it more. Lion Country looks like so much fun! We love to go to places like that when we travel. Oh how fun!! My son would definitely enjoy all these amusements! Especially the mini golf.